“There is, come to think of it, a kind of Judi Dench quality to McCain,” Craig added. As Steyn said, on the face of it this is ridiculous—while McCain is now too old for active duty, McCain is about a thousand times more qualified to be James Bond than Obama. Barack Obama’s career, by contrast, has been conducted entirely indoors, in offices and classrooms. He’s never had a real job. He may look like James Bond in a dinner jacket(perhaps a slightly darker George Lazenby) but he’s the exact opposite of the Man of Action. 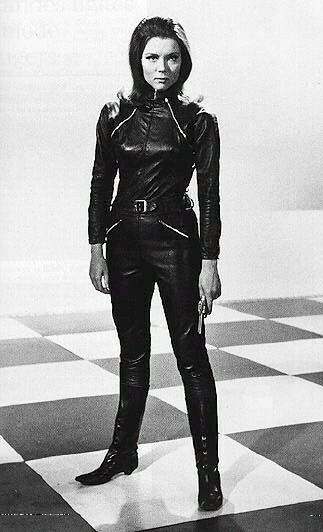 New York Times columnist Maureen Dowd says that when she’s sitting at her desk, writing a "tough" column, she fantasizes, that she's "Emma Peel in a black leather catsuit, giving a kung fu kick to any diabolical mastermind who merits it." In fact, what Ms. Dowd does for a living is nag and whine. That’s more or less Obama’s role, too. However, in office, Obama’s relentless drone warfare and his decision to allow the raid on Bin Laden show that he may have an essential ruthlessness which McCain lacks. After all, if McCain had had that kind of ruthlessness, he would have been President in 2008. McCain is the fellow who wouldn’t allow his supporters to use the name Barack Hussein Obama, and said in 2008, "I have to tell you. Sen. Obama is a decent person and a person you don't have to be scared of as president of the United States." I'll leave it up to the reader to decide.